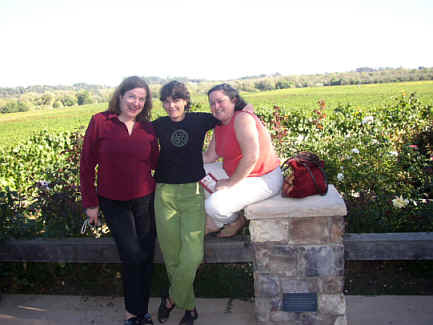 The Famous Professor Alessandra "Andra" Miletta came westward in October of 2003 to have a look with some friends at a few wineries in Sonoma. 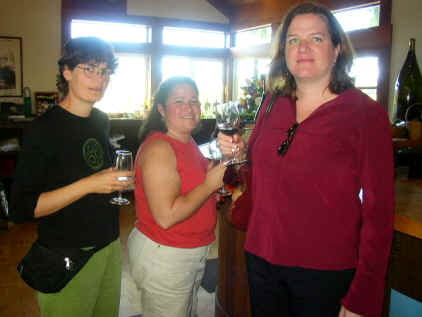 Our Tour began at the Hartford Winery in the Russian River area. The prices they asked for their wines were more impressive than what we tasted, so we moved on to Iron Horse, a sparkling wine specialist. Here we tasted an interesting range of sparkling wines, but nothing of "Champagne" quality. 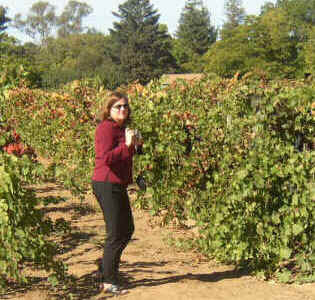 Deidre was interested to watch the grapes mature on the vine. We tried to explain this is a lengthy process. 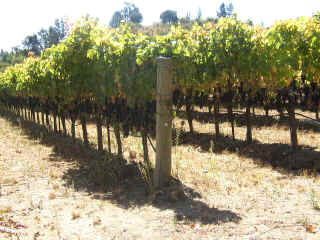 Here you can even see a particular clone of Chardonnay vines and know what sort of root-stock they're planted on. Deidre was quickly asleep in the back of the van. 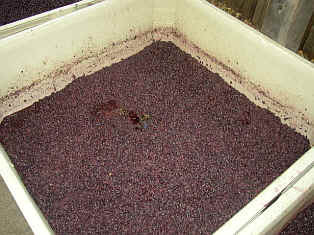 A small bin of fermenting "must." 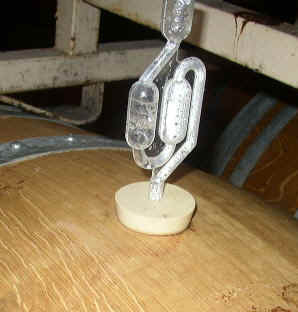 A fermentation is busy bubbling away as this barrel was fully engaged. 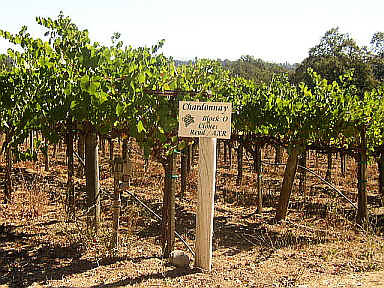 The old Joseph Swan Vineyards is run by Rod Berglund and his wife, Joe Swan's daughter. 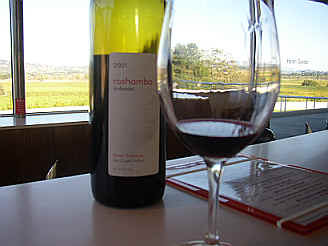 We tasted some very nice wines here, especially a Pinot Grigio, "Cotes de Rosa" (a Grenache) and their Mourvdre. 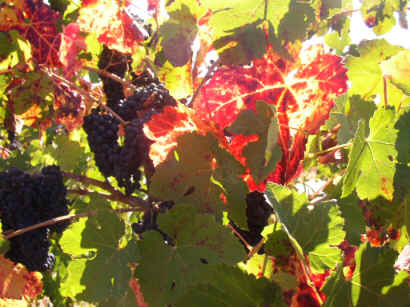 A couple of Pinot Noirs were nice, as well. We stopped at the old Foppiano winery and actually tasted some good wines. 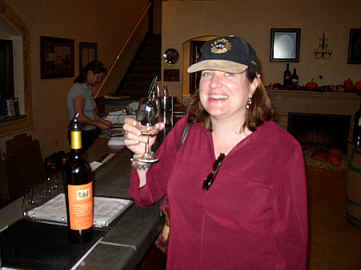 Their Zinfandels and Petite Sirah wines were quite good and, for a pleasant change, reasonably priced! 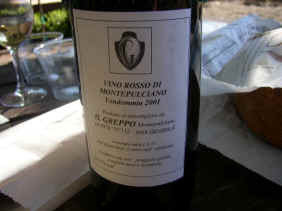 We availed ourselves of one of Foppiano's picnic tables and spent an hour wining and dining. Deidre, Kathy and the famous Andra. 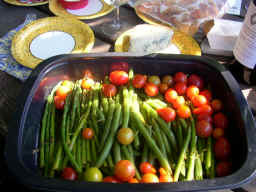 We had a nice picnic of Prosciutto & Melon, long beans, asparagus, fresh tomatoes and an assortment of cheeses. Andra brought a bottle of wine from some friends in Tuscany and this was delicious, too! 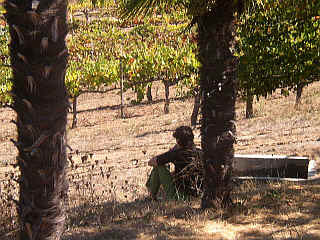 Andra checking out the vineyards of old vines Petite Sirah. Roshambo..."We close in 15 minutes, so this is last call." 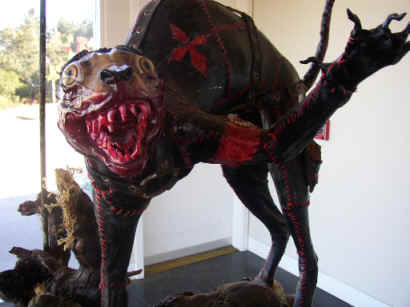 was how we were greeted by the tasting room staffer. "You have time to taste about three wines." 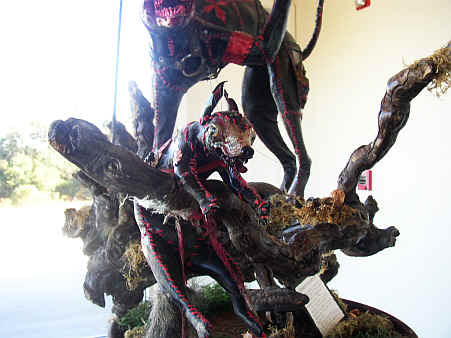 The "art work" at this place is also not very welcoming! This was a most curious stop on our wine tour. 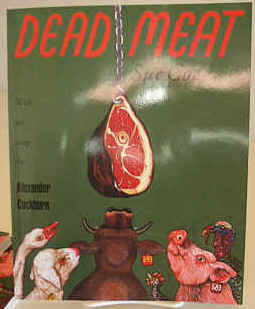 The wine tasting ladies were repulsed, frankly, by this place. A couple of the wines were okay, however. 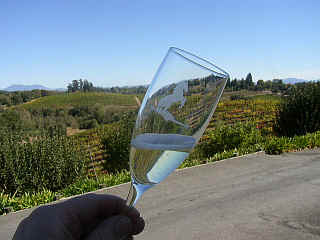 The Seghesio Winery in Healdsburg was a wonderful finish to our tasting tour! The crew there was welcoming and hospitable, despite our arriving just 15 minutes before they closed. And the wines were delicious! Here's Andra sporting a "Crazy Milanese" hat.